Some commentators argue that overregulation is stoking a liquidity crisis, but the New York Fed president is skeptical for now. 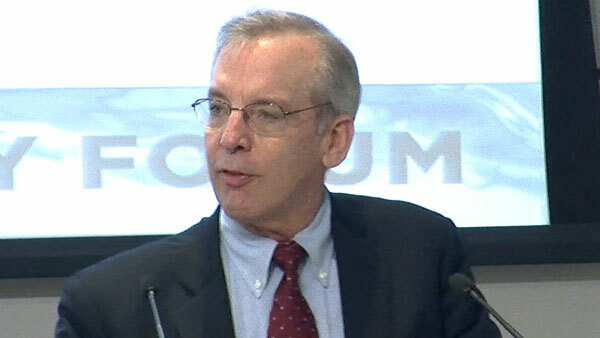 New York Fed CEO Bill Dudley speaking at SIFMA forum on liquidity. There is some argument that the regulatory onslaught since the financial crisis has negatively affected market liquidity, causing higher liquidity costs and more illiquidity events. Because of this, some commentators even say the regulatory burden should be rolled back. Bill Dudley, president and CEO of the Federal Reserve Bank of New York, spoke to these concerns at a liquidity forum hosted by the Securities Industry and Financial Markets Association on Wednesday. “Some opponents of tougher bank regulation claim that the increased regulatory requirements, such as the higher capital requirements and new liquidity standards, that have been imposed on large financial institutions in the aftermath of the financial crisis have reduced these firms’ market-making capacity,” he said to the crowd gathered in New York. In the aftermath of the financial crisis, new regulations – such as the Basel III bank capital framework and the Dodd-Frank Act – were implemented to strengthen the financial system and to limit the risk of a future financial crisis. Dudley isn’t necessarily in favor of a regulatory rollback. Rather, he calls for more research and data to determine exactly what kind of impact regulation has on market liquidity. The problem with some of the recent data, according to Dudley, is it may not show the clearest picture on how regulation affects market liquidity. During the forum, Ken Bentsen, president and CEO of SIFMA, noted a recent PwC analysis that looks at the state of market liquidity. The analysis, Bensten said, found that a combination of several factors – including banks reducing risk following the introduction of new regulatory frameworks – have contributed to a measurable reduction in financial market liquidity across various asset classes. According to the PwC report, bank holdings of tradable assets have decreased by more than 40% between 2008 and 2015, and in the U.S., dealer inventory of corporate bonds has declined by almost 60% over the same period. — Check out Are We on the Verge of a Liquidity Crisis? on ThinkAdvisor.